“Our customers come first” – this is our daily morning mantra. And this basic philosophy has led to Ashraf Technical Support, ATS, being recognized across Kuwait as the leader in customer service. ATS is a key component of our organization for providing total solutions to our valued customers to meet their requirements. ATS acts as a complete technical support system that engages in to continuously refined relationship with our customers that spans over decades. 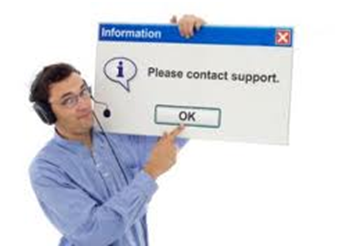 ATS provides all sorts of Technical support to all Ashraf customers both in the Public and Private sector. The support covers a wide spectrum of products sold through Ashraf & Co. Ltd. platform including Health care products, Diagnostic imaging, Health information systems, Information technology, Document imaging systems, Security systems, Dental equipment’s & solutions, Industrial equipment’s, Therapeutic equipment’s, and projects implementations etc. ATS functions include pre-installation activities, installation, commissioning, and application training and professional after sales services including preventive, predictive proactive and corrective maintenance services. This product support is delivered through a team of 22 highly qualified and skilled technicians, engineers and application specialists with the support of a management team. ATS staff undergoes periodic training’s at our principal’s facilities overseas with respect to delivering the most professional implementation &support services for all lines of products. Further, continual development of staff is taken care through different personal development programs. This staff is available 24 hrs a day, seven days a week, to render services to the wide multifaceted installed base of Equipment’s, solutions and customers. ATS is well equipped with all the logistics including computerized service delivery management system, dedicated Service coordinator, state of the art service tools and technologies and a hotline to provide an efficient service to our customers. ATS keeps stock of all spare parts locally for all types of installed equipment’s & solutions, in order to guarantee and provide quality service to its customers at fastest possible time. ATS offers tailor made service level agreements to satisfy the varying needs of our customers. ATS is recognized by the MOH (Ministry of Health) and private sector customers for their excellent services. ATS was the first in the Middle East to be awarded the golden award by our Principals Carestream and Kodak for excellent performance in addition to various other awards. The latest being the service excellence awards for 2012 and 2013 from Carestream.